The Williamsport Area School Board took action on personnel issues and other items, including the resignation of a school director during its regular monthly meeting Tuesday night. School board president Lori Baer announced that the board was accepting the resignation of Spencer Sweeting. Voting to accept the resignation were Baer, Patrick Dixon, Marc Schefsky, Dr. Nancy Story Somers, Brette Confair and Adam Welteroth. Sweeting, Jane Penman and Jennifer Lake were absent. Vacancies are filled by an appointment process conducted by the remaining board members, according to the Pennsylvania School Boards Association. No advertisement is required to solicit a new board member to fill the seat. However, any interview process of potential candidates must be held in a public meeting. No specific reason was given for Sweeting’s resignation. In another action involving personnel, the board approved the hiring of Matthew D. Fisher as high school vocational CTE director at a salary of $101,000. He replaces Randy Zangara, who resigned from the position. Superintendent Dr. Timothy Bowers said Fisher is expected to be a great addition to the staff. The board approved the hiring of Janee Smith as temporary professional employee to serve as a school nurse at a salary of $49,700. The board approved the retirements of Therese M. Molesky, fourth grade teacher, Lycoming Valley Intermediate School; Gary R. Litz, head custodian, Lycoming Valley Intermediate School; and Deborah L. Walker, substitute teacher. The resignation of Katey R. Martin, Curtin Intermediate School art teacher, was accepted by the board. Amber Wright was approved to serve as full-time administrative support person in the business office at a salary of $31,495. She replaces Gwen Gower who retired. The following people were hired for athletic coaching positions: Kyle S. Schneider, head baseball coach, $4,760; Anthony D. Segraves, ninth grade assistant, football, $3,200; and Samantha Bower, head cross country coach, $1,920. The board approved the purchase of 100 white boards from Whitlock, State College for installation throughout the district at a cost of $20,980. An agreement between the district and EduLink Inc. for Pennsylvania Electronic Teacher Evaluation Portal was approved at a cost of $15,942. The portal is used to manage the teacher evaluation process for teachers and supervisors. School directors approved MVT Flooring, Inc, Sunbury, for the installation of tile in three rooms at Cochran Primary School at a cost of $15,800. The board approved a contract with Children’s Service Center to provide for learning services through the Therapeutic Education Program for students at $167 per day. 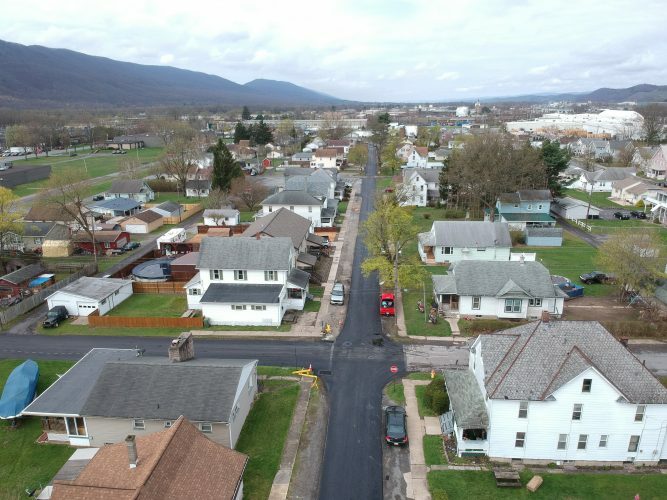 Interpretek, of Bloomsburg, was approved to provide substitute interpreter services on an as-needed basis for students at a rate of $65 per hour. The board met in executive session prior to and following the regular meeting. Personnel and legal matters were announced as being discussed.